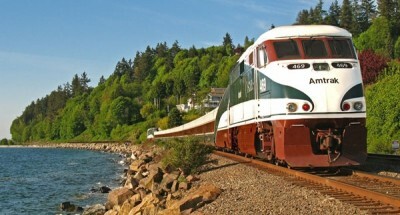 *The above photo is taken directly from Amtrak Cascades official website. This girl is primarily takes trains only within a metropolitan city, bound within city limits. This is the first time I’ve opted to use the train to travel not only out of my current city, but out of my country! Do me a favour and humour me as I share my first-timers’ experience. 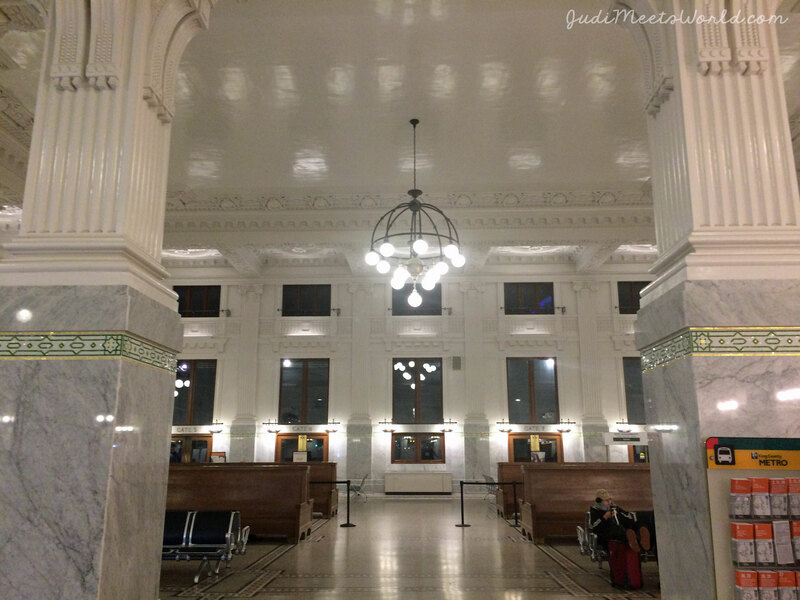 The Amtrak Cascades run along the pacific northwest, point to point from Vancouver, Canada to Eugene, Oregon. Tickets and schedules online on their official website. Disembark at Seattle’s King Street Station. If you are heading to/from Vancouver, there is a border stop. Immigration officers come aboard – have your documents ready. There is a lounge cart with food and drinks for purchase and comfortable seating. This was my very first experience on a train crossing borders. Not only was it comfortable, I also was fortunate enough to not have someone next to me. Extra room guarantees a sprawled out but happy Judianne. My advice is to stock up on snacks from your local corner store before heading to the station. Snacks come in handy for these longer rides, although I do recommend you go for a walk between the cars to check out their lounge/dining car. 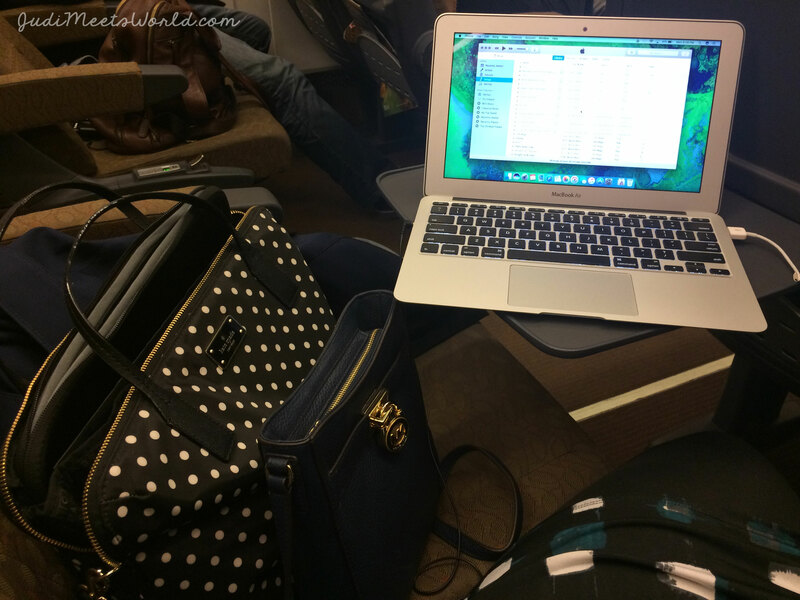 I checked in my bag (complimentary) and then turned my seats into a makeshift work station. Since there is free WiFi on board, my work was finished on the 4-hour ride to Seattle. The time went by quickly, in my opinion, as I was certainly entertained. It was the evening train, so I didn’t get to see the PNW waterfront view out of my window – so if you go, try to catch the earlier train! Train travel is a great option for those who are choosing not to drive, and for destinations that are the equivalent of a one-hour flight. 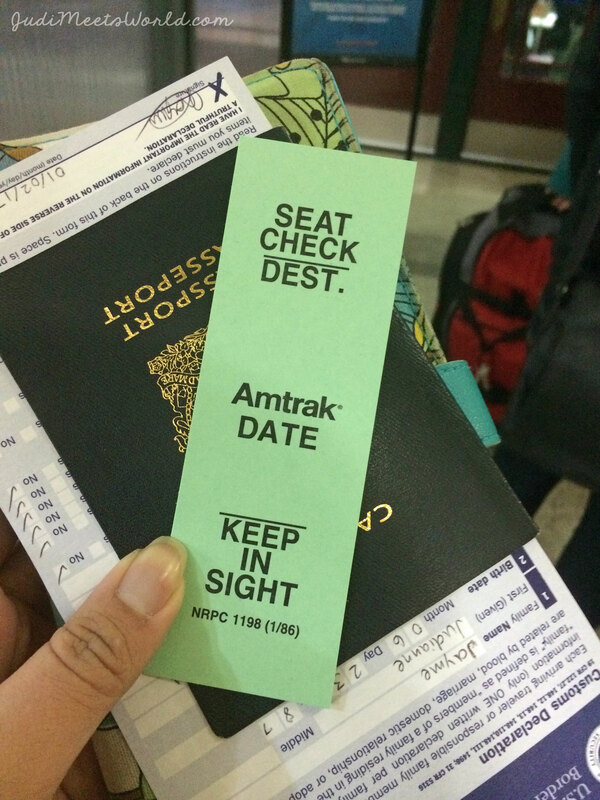 You can certainly find me on a train in the future – I’m a fan. Where else would you recommend for my next train destination?